this is one of my favorite and super easy go-to recipes when i’m too tired to do anything super involved in the middle of the work week. you can use any filling you’d like, really- chicken, beef, pork, shrimp, but for this post i’m going to use simple ground chicken! brock (my goofy, sweet husband!) and I love asian food. we both love cooking together, so something as simple as this can be done with 2 people or just 1 if you’re in a pinch. Take all ingredients and combine in a bowl. Let it sit for 15 minutes in the fridge, covered. Heat olive oil in a skillet or wok over medium-high heat. Add a tablespoon of minced garlic. Or more if you LOVE garlic like I do. Once garlic is fragrant (be careful to not burn it!) grab your bowl of tasty and pour into the skillet. Use a spatula to break up the chicken into little clumps. Cook chicken for about 5-10 minutes until browned/evenly cooked through. Don’t cook for too long or you’ll lose all the juicy-ness! 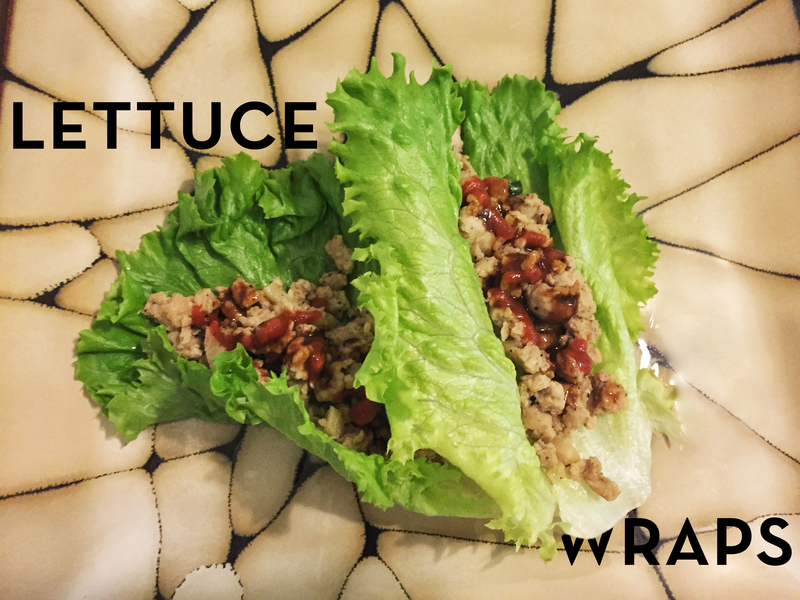 Scoop chicken onto the lettuce leaves. Drizzle with sriracha or make a quick dip with hoisin sauce/ponzu. Enjoy!